Tri-County Titans Girls Basketball Team Recognized for Great Season! Tri- County Girls Basketball Team: front row (l-r) Melia Eskew, Tayler Barry, Meredith Smith, Harley Barry, Maiya Eskew; back row (l-r) Rep. Brad Halbrook, Coach Joe Morrisey, Bella Dudley, Caroline Smith, Grace Burnside, Kierstin Price-Wilson, Assistant Coach Alyssa Childress, and Rep. Chris Miller. This team won their Regional Championship, their Sectional Championship, the Super Sectional Finals, and made it to the Final Four! Their impressive play is highlighted by their average victory by 33 points on their championship run. They missed winning it all by only 1 point in the last 3 seconds of the game! 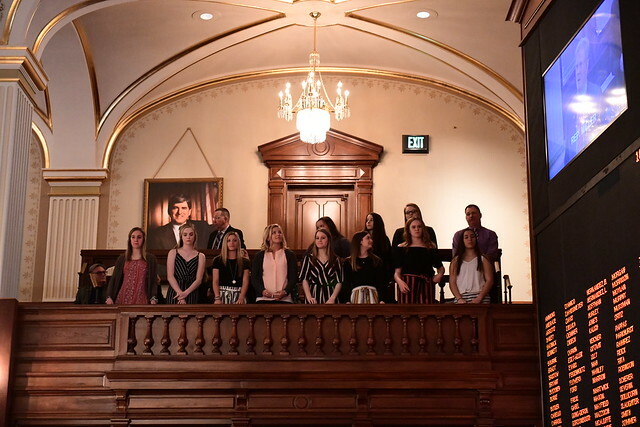 The Tri County Team members include: Harley Barry (Shiloh), Tayler Barry (Shiloh), Grace Burnside (Kansas), Bella Dudley (Shiloh), Maiya Eskew (Kansas), Melia Eskew (Kansas), Kierstin Price-Wilson (Shiloh), and Meredith Smith (Shiloh). 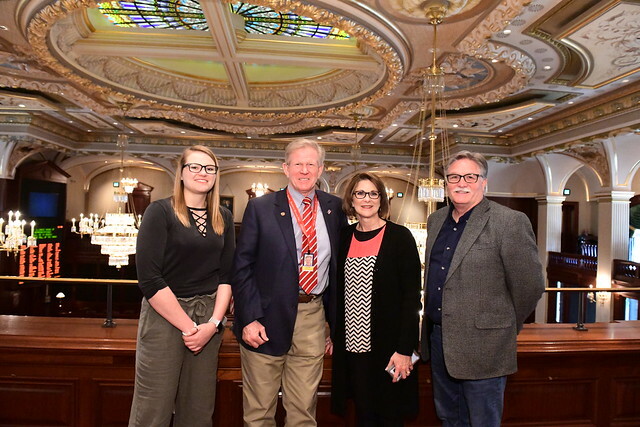 Thank you to Tri County principal Cindy Spencer, Coach Joe Morrisey (Kansas) , and Assistant Coach Alyssa Childress (Kansas) for all of your help in making the trip to Springfield a reality! 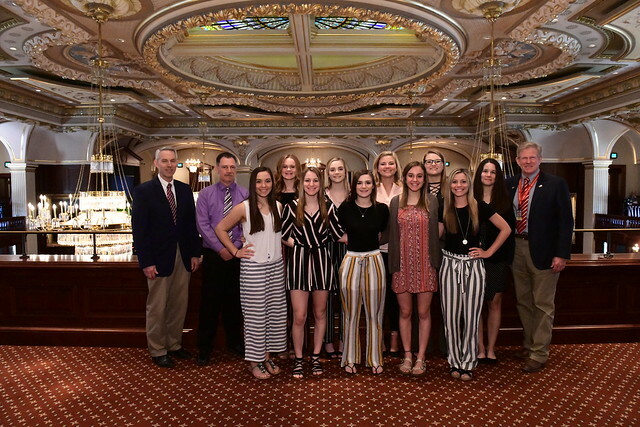 The Tri County Girls Basketball Team stand to be recognized in the Speaker’s Gallery in the Illinois House of Representatives on April 10, 2019. 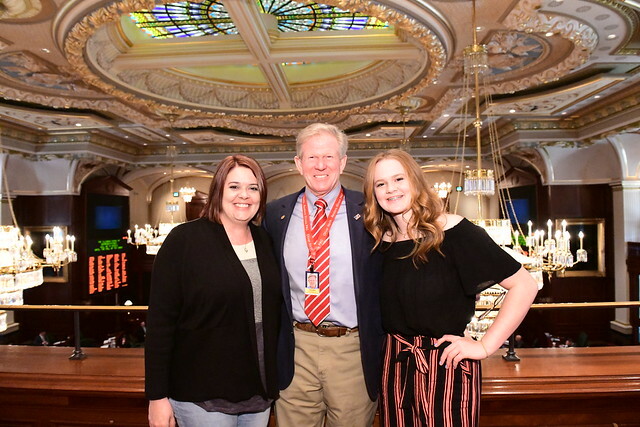 Kim and Bella Dudley at the Illinois State Capitol with Rep. Chris Miller. 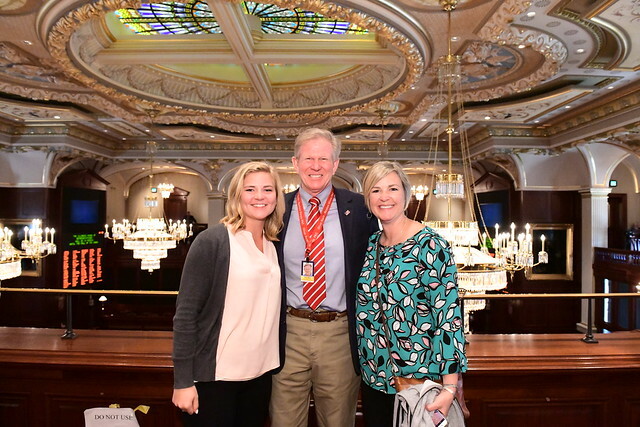 Grace and Tia Burnside during their visit to the Illinois House with Rep. Chris Miller. Rep. Chris Miller introduces the Tri County Girls Basketball Team on the House Floor.